Let's trade. Beats buyin' em! 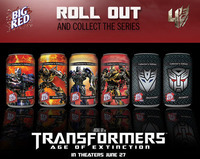 I look forward to looking for these - Big Red is not a big seller in my area, so I have a feeling I'll be driving a few hours to end up getting all 6 cans.... but LOVE when the non "big brands" have sets like these. I've collected cans for many years - run the (very outdated) popcan.org website. I've once wanted forums & a site like this - glad to see this one here, and plan to support it as much as possible. ***UPDATE*** I May be trading soon! My Collection will finally have a home!